(TheForceField.net) April 27, 2009 – AMD announced last week that it would accelerate its roadmap with an early release of its six-core Opteron processor this June and plans to ship a 16-core processor in 2011. AMD made the announcement at the "AMD Opteron processor Sixth Anniversary event in Sunnydale, California. A six-core Opteron processor, code-named "Istanbul", is set for release this June. According to AMD the new processor increases performance by 30% over AMD Opteron quad-core processors currently available. The company said it plans to release the AMD Opteron 6000 "Magny-Cours" processor in 2010. The Magny-Cours will be designed for 2P and 4P servers and will have 8 and 12 cores. The "Interlagos" processor is scheduled to debut in 2011 and will feature 12 and 16 cores. The Interlagos will be built on 32nm technology. AMD reported a Q1 loss of $416 million. 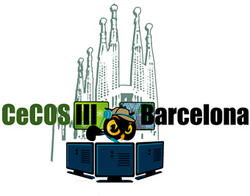 Barcelona Electronic Crime conference will gather IT security, operations, and law enforcement thought-leaders from Europe, United States, Asia and Australia next month to discuss operational priorities in the global confrontation against phishing and all forms of Electronic Crime. Cambridge, MA (PRWEB) April 27, 2009 — IT security, operations, and public agency electronic crime responders, investigators and counter-electronic crime technologists from across the globe will gather in Barcelona, May 12-14, for the 3rd annual Anti-Phishing Working Group (APWG) Counter-eCrime Operations Summit (CeCOS III). CeCOS dedicated to uniting the industry and public sector response to the global electronic crime scourge. CeCOS III presents operational priorities in the global confrontation against phishing and all forms of Electronic Crime. "The criminal artisans that have organized on the Internet are growing in technical sophistication and command – and in their capacity to cloak themselves from detection," explained APWG Secretary General Peter Cassidy. "CeCOS III will consider critical next steps in the formation of a unified response to electronic crime that is just as organized as the crimes themselves. In short, imagine a response to electronic crime without frontiers." CeCOS III will unite IT security, operations, security, and law enforcement thought-leaders from Europe, America, Australia, East Asia and South Asia for to voice operational priorities in the global confrontation against phishing and electronic crime. CeCOS III will engage questions of operational challenges and the development of common resources for first responders, law enforcement officials, and forensic professionals that protect consumers and enterprises from electronic crime threats every day. CeCOS III is an open conference for members of the electronic-crime fighting community, hosted by the APWG and underwritten by its sponsors, including La Caixa, Telefonica, S21Sec, GMV, MarkMonitor, EMC's RSA Security division, Ecija, Deloitte, Symantec and TB Security, a mix of industry principals that reflect CeCOS III's truly international character and constituency. Although sponsorship is principally from industry, the CeCOS programs are considered the most vital events to investigators and managers of electronic crime from across private and public sectors. In Tokyo, last year at CeCOS II, over 250 delegates attended from law enforcement agencies, technology companies, financial services firms, security services firms, government agencies, consumer advocacy groups and research centers around the globe. APWG's CeCOS III will survey the technical advances of phishing and ecrime groups and, at the same time, benchmark the kinds of technical, operational and policy responses that have proven useful in countering them from the desktop all the way back to the domain name registry. CeCOS III presenters will deliver discussions of counter-electronic crime operational issues such as successful forensic data sharing, criminal domain delisting, crimeware's evolution, a global response architecture for electronic crime events, the coordination of responses to electronic crime through a common data reporting format, plus an intriguing case of a government agency spying on a dissident group's email communications, and more. Thought leaders, researchers and responders chosen to speak at CeCOS III come from some of the pre-eminent counter-electronic crime companies, research centers, and agencies in the world, including the United States FBI, SRI, ICANN, Japan CERT, Australian Federal Police, China Internet Network Information Center, Telefonica, La Caixa, University of Cambridge, Baylor University, Carnegie Mellon University, and United Nations Interregional Crime and Justice Research Institute. Montreal, QC (PRWEB) April 27, 2009 — Technology Evaluation Centers Inc. (TEC), the leading resource for enterprise software selection, has launched a new program designed to provide high quality, targeted opportunities for the channel partner community. With 845,000 global newsletter subscribers and 12 million page views monthly, TEC (www.technologyevaluation.com) and the TEC VAR Zone provide intermediary resources for bringing technology buyers and solution providers together. VAR Zone program members can purchase actionable opportunities online at any time, searching based on their target profiles, by geographic location, industry, vendor, application area, or company size. For those seeking prospects that are further down the sales funnel, highly qualified leads (HQL), involving the confirmation of a software selection project by TEC's call center, are also available via the VAR Zone. Ongoing support by phone or e-mail is provided to participating solution providers by TEC's VAR Zone customer care team. Their Opportunity Alerts Service distributes preview e-mails containing potential opportunities that fit with member resellers' target profiles, and includes information such as location, company size, industry, application area, job title, and background research on the responder's solution requirements. VAR Zone program members also benefit from exposure to TEC's audience of software project decision makers through their listing in the VAR Showcase section of the TEC IT Directory. This low cost of entry pay-per-lead program allows for online payment options, including credit card, PayPal, and electronic transfer. To find out more, or to gain access to a demo version of the TEC VAR Zone, please contact Barry Winikoff at 1-800-496-1303, ext. 293 or varzone @ tec-centers.com. Technology Evaluation Centers (TEC) provides impartial insight and expertise by offering resources and services to minimize the costs, risks, and time associated with software selection. Over 3 million technology decision makers visit TEC's Web sites each month, to find information on hundreds of solutions and to access articles, white papers, and podcasts. TEC's decision support system (DSS) and analyst data assist with the evaluation, comparison, and selection of enterprise solutions and services. TEC's offerings include in-depth research, detailed product information, and software selection services for any industry or company size. www.technologyevaluation.com. I know that there will be a few OnForce providers who will raise their eyebrows over the publishing of the press release for the latest OnForce Market Services Index on the front page of the site today, especially in light of recent events. Yes, it is an OnForce-written press release and, yes, I did somewhat unofficially recuse myself from promoting OnForce. That was not the intention of the post. While the OSMI is primarily aimed at potential Buyers and not Providers, it does contain a lot of information and statistics about the state of the industry that can benefit IT companies on both sides. It is a good use of their resources and, of course, it’s free. I generally post the OSMI reports specifically for our own edification regarding industry trends, because, whether we like to admit it or not, OnForce, as do all of us collectively, do help shape and influence the overall marketplace. The reason I posted this particular Q1 2009 report was primarily to use it as an additional source to compare it to our own data gathered from the four part series of The Force Field podcast we recently concluded on The State of The IT Industry. The results of the OSMI closely mirror and quantify the data and upbeat outlook from all the guests on the shows. This certainly encouraging. There is another important reason to check out the OSMI. If you look at trends withing specific areas of the industry that are listed, you will notice a few that seem to be poised for further growth. As you may recall, one of the reoccurring themes of the shows in the series was that of finding such areas in which to diversify in order to survive when times were slow in the areas you service. If you study the OSMI you may find additional areas to move into that are still largely untapped or are potentially profitable and in which you can expand your businesses. I know this seems somewhat hypocritical to post press releases for the company but I assure you that it is not my intention to actively promote the company. It is simply to take advantage of something they have that we can use to promote our own businesses. The OSMI is is a marketing piece for them and I understand that. It does, however have some statistical data that can prove to be of value to us all and I, for one, would like to make the most of it while we can. If you think Windows 7 will finally lure users away from XP and redeem Microsoft for Windows Vista, think again, says a new study. The study, released this week by Kase Networks, reports that 84% of respondents have no plans to upgrade to Windows 7 in the next year. The new operating system is due out by the end of 2009, however the study says a majority of companies will be slow to adopt or migrate to it, choosing to either move to Macs or Linux or stick with Windows XP. Of those who do plan to move to Windows 7, more than half said they were going to do so “specifically to avoid Window Vista”. The study polled 1,142 IT professionals and found that while some respondents were receptive to the new operating system, many were reluctant migrate over to it immediately for several reasons. 88% of those who were reluctant listed software compatibility as their primary concern. 42% said economic conditions were also a factor. The study also indicated that while many still plan to stick with XP for awhile, users were aware that there were other options available and many were considering a move to non-Mircosoft operating systems. Although 99% of respondents were using Microsoft operating systems, 50% considered adopting Apple or Linux based operating systems instead, a 7 percent jump from another study conducted in 2008. What does this mean for Microsoft? Windows is its mainstay. About 40% of its revenue comes from Windows licensing. After losing a three year battle to sell the masses and the enterprise on Vista, Window 7 could make or break their business in the OS marketplace. As limited in scope as this study may be, it is indicative of a mindset and a stigma among users about a post-XP Windows world. Windows XP is still popular, but it is nearing its end-of-life and, while still spry, it is showing its age. Eventually it will be time to upgrade to something. Windows 7 needs to be a hit or Microsoft will have nothing for XP users to upgrade to and they will inevitably migrate to something else. BOSTON – April 14, 2009 – OnForce , the trusted online marketplace and national network of thousands of technology service professionals, today released the OnForce Services Marketplace Index (OSMI) for the first quarter of 2009. The OSMI is a comprehensive analysis of nearly 70,000 service events this quarter across North America. Key findings include an increase in information technology (IT) and consumer electronic (CE) spending in diagnose and repair services. With overall volume rising in Q1 2009 compared to Q1 2008, there was a significant increase of work orders generated through the OnForce marketplace that are classified in the .break-fix. service sector. Break-fix is largely composed of diagnose and repair service events. Services in this sector increased from 59 percent of total work orders in Q4 2008, to 63 percent in Q1 2009. "Our marketplace index gives us a unique view into the current and future IT and CE landscape, and we're seeing businesses and consumers continue to look for innovative ways to save money during these challenging times," said Peter Cannone, CEO of OnForce. "As we predicted at the end of 2008, businesses and consumers are leveraging break-fix and repair services more than install, and many companies are continuing to look to outsourcing IT services, and turning to platforms such as OnForce, as a way to cut costs and improve their bottom lines." With the upcoming digital television transition in June and lower prices for flat-panel televisions, OnForce's television and video category is cemented as one of the highest volume service categories, along with desktop computers and network services. Services in these areas accounted for over 50 percent of total work orders in Q1 2009. Meanwhile, lower volume categories included Point-of-Sale (POS), as many retailers typically invest heavily in POS in the Fall timeframe in advance of the holiday shopping season. 7% for Q1 2009. This can be partially attributed to seasonality as well as the increase in retail stores that have closed in the past quarter. · Total work order volume increased 10% year over year. · Television and video services increased in total work order percentage from 22% in Q4 2008 to 24% in Q1 2009. · In order to curtail travel expenses, companies are conducting more meetings via video conferencing and making larger investments in projector technology. · California, Texas, Illinois and Florida were among the largest onsite service economies; while Chicago, Houston and New York were the top three busiest cities for onsite service. · The most expensive technology category was Voice over Internet Protocol (VoIP), with the average work order below $400. The OSMI Q1 2009 report is available for download at http://www.onforce.com/OSMI/Q109 . OnForce is service made simple. The company provides access to a trusted national network of over 12,000 onsite service providers connecting service demand with local supply through an online marketplace . easily, efficiently and profitably. Nearing one million completed service orders, OnForce is a proven leader in helping service buyers increase profits, gain a competitive advantage and contain service costs. The OnForce community is made up 5,000+ IT and CE service buyers and more than 12,000 service professionals who work in a number of technology categories, including computers, printers, networking, VoIP, point of sale and consumer electronics. For more information, visit www.onforce.com . Home and home office users now have an affordable option for instant, on-demand, 24×7 computer repair and support — all with no contract, and all from the comfort of their own homes. Atlanta, Georgia (PRWEB) April 10, 2009 — Gosuto, LLC has announced the release of its new service, SmileyFacePC.com, now live and available to the public. SmileyFacePC.com allows home and home office users to get computer repair and support, 24 hours a day, 7 days a week, without leaving their chair or having a stranger visit their house. Service is provided over the Internet, so the only thing required is a working broadband connection. Smiley Face PC was specifically designed to avoid those issues. Users can talk to a technician in minutes, without creating an account or buying anything, and get a free consultation. Payment is not required until the technician has explained everything and is ready to fix the issue at hand, so there are no surprises. The pricing is flat-rate and very inexpensive, and there is only one pricing option that is clearly explained by both the web page and by the technician before signing up. No contract is required. The technicians, called "Experts", are all based in the United States and have met certification/education requirements. They also have several years of experience (most of the Experts have 10 years or more of experience). Finally, the service is extremely easy to use and is as secure as online banking. "We believe this service is going to be a real benefit for the residential computer user – it is something I would recommend to everyone I know without reservation, even my grandmother. It is really a no-brainer for anyone who uses a computer", said Ben. For additional information, contact Ben Buie or visit Smileyfacepc.com. Smiley Face PC – We Make Your Computer Happy. Gosuto, LLC is a leading provider of IT Support and Consulting services for both business and residential clients. San Jose, CA (PRWEB) April 10, 2009 — iXsystems announced today the release of PC-BSD Version 7.1, Galileo Edition. PC-BSD 7.1 is built upon the FreeBSD 7.1-STABLE operating system. FreeBSD is a UNIX-based operating system that provides a high level of security and stability. The Galileo Edition of PC-BSD includes updated versions of KDE (4.2.2) and Xorg (7.4). The latest version of KDE includes new window effects, screen savers, and better 3D Acceleration. PC-BSD exclusively features the Push Button Installer (PBI), a push-button software installation wizard with a wide range of applications. The latest version of the Push Button Installer improves PBI self-containment to increase reliability. The Add / Remove Programs tool and the Update Manager have been consolidated into "Software & Updates." FreeBSD ports and packages can now be created by utilizing the "runports" command. Enhancements have been made to PC-BSD's System Installer, including upgrade functionality for those who wish to install PC-BSD while preserving their user data. "Galileo utilizes the latest KDE developments to bring style and functionality to the PC-BSD operating system," says Kris Moore, PC-BSD Software Development Manager, iXsystems. "New KDE visual effects accent the stability and security of the Galileo Edition of PC-BSD. With new printing features and improvements to the Push Button Installer and Warden utility, PC-BSD 7.1 is now even easier to use." Arthur Koziol, a Student Computing Specialist, states, "Out of curiosity, I've played with all flavors of Unix since the mid 90's onward (BeOS, BSD, QNX, Linux, Plan9, OpenSolaris, etc.) but I've never felt comfortable with using them as a primary OS much less switching full time. That is, until I discovered PC-BSD. Coming from a background of nearly 20 years in Windows, I've always wanted to successfully run BSD and now I've found an extremely robust, comfortable, cutting edge, and secure BSD-based OS that has all the requisite apps and utilities I need to use on a daily basis that works right out of the box. Wine makes running most Windows apps brainlessly easy and using PBIs to install apps is pure genius, succeeding where Linux fails." SPC-INTRANET will demonstrate their new onsite intranet server with a low cost, open source, web-based solution for small to medium size businesses. Greensboro, NC (PRWEB) April 8, 2009 — SPC-INTRANET, LLC will introduce this time saving, web-based platform for the first time ever on Thursday, April 23, 2009 at the Winston-Salem Chamber's 28th annual BUSINESS EXPO '09 from 8:00 a.m. to 3:00 p.m. at the Benton Convention Center at booth #120. SPC-INTRANET's product is an on-premise Dell™ PowerEdge™ T100 (web/file) server that is installed with Ubuntu Server Linux distribution. Colleagues and associates can post documents, videos, access a shared calendar for scheduling appointments and send their emails from a central contact list. The product also includes a chat feature for users to communicate online and access a personal "my account" page for uploading and downloading files. SPC-INTRANET's server is a cross platform product that allows PCs, Macs and Linux computer users to access files in the office or from a remote location. "SPC-INTRANET compliments a business's current IT solution because the server easily hooks up to an existing Local Area Network (LAN) for inter-office use, and is not difficult to setup for access over the internet," said James Cunningham, a founding member of SPC-INTRANET, LLC. "By utilizing Ubuntu's secure and high performance server edition, businesses can use the product for traditional windows networking environment with a pre-configured samba installation, and provide their users a unique web based application without the high costs associated with additional seat licensing. There are no monthly fees or software to install and you have the freedom to change your software." SPC-Intranet is an innovative, entrepreneurial company located in Greensboro, NC with a mission to make servers affordable and easy to use for small to medium size businesses. SPC-Intranet offers installation, testing, technical support and training as well as an online catalog of servers, mass storage units, routers and Canonical Ltd. support systems. Oakbrook Terrace, Ill., April 7, 2009, Representatives from the CompTIA Educational Foundation are coming to Houston, April 16 and 17, to interview military veterans and disabled veterans for free computer and Internet literacy training. Certiport, C-Trec, The Training Associates, National Cristina Foundation and the American Legion, all banded together with the CompTIA Education Foundation to enable the IT training for veterans in the Houston area. "As part of our Creating Futures program, participants in Houston will train toward Certiports Internet and Computing Core Certification (IC)," said John Venator, president and CEO, CompTIA Educational Foundation. "The program is a great way for veterans to launch an IT career, and its free!" IC3 training provides the core skills and knowledge necessary to use some computer applications and the Internet, gives a resume-building standard certification, and supplies the foundation necessary to further enhance productivity and marketability with other desktop application-specific certifications. Applications are being accepted and candidates will be interviewed at: American Legion Post 586, 708 E. Parker Road, Houston, TX 77076, (713) 691-7741, on Thursday, April 16, from 10:00 a.m. to 4:00 p.m. and on Friday, April 17, from 10:00 a.m. to 1:00 p.m. The Foundation currently has 20 training seats open in the Houston area. Applications are accepted on a first-come, first-served basis. The four-week, computer and Internet literacy training is an online program, accessible anywhere 24/7 with an Internet connection. Training, mentoring, courseware, practice exams, and certification vouchers are provided at no cost. Prospective participants can apply for training by visiting the Creating Futures website, http://www.comptiaeducationalfoundation.org . The CompTIA Educational Foundation provides career opportunities for individuals who historically have been under-represented in the IT workforce. With the support of individuals, industry leaders, companies and the government, the Foundation creates programs aimed at helping U.S. veterans, at-risk youth, women, minorities, dislocated workers, and individuals with disabilities to obtain the technical and business skills employers require. Since its creation in 1998, the Foundation has helped more than 1,000 individuals enter the IT workforce, helping the industry alleviate its shortage of skilled workers. For more information or to make a donation to the CompTIA Educational Foundation, visit http://www.comptiaeducationalfoundation.org . The Computing Technology Industry Association (CompTIA) is the voice of the world's information technology (IT) industry. Its members are the companies at the forefront of innovation; and the professionals responsible for maximizing the benefits organizations receive from their investments in technology. CompTIA is dedicated to advancing industry growth through its educational programs, market research, networking events, professional certifications, and public policy advocacy. For more information, visit www.comptia.org .